SHITKATAPULT are gearing up for another round of goodness with a range of portrait format vinyl 12”es. Following in the beat-driven footsteps of The Sorry Entertainers – Local Jet Set (replete with a bone-chilling dOP Psycho Club remix) and an outstanding, one-sided SHRUBBN!! vs. 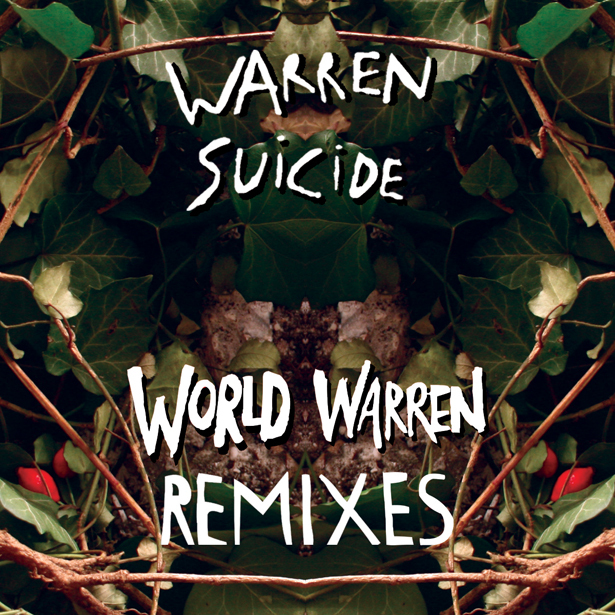 THE ORB excursion, we give you this truly incredible slab of re-imagined WARREN SUICIDE-ism. After his relatively recent songwriting excursion (THE DEVIL’S WALK/Mute), Sascha Ring aka APPARAT returns to liberated techno with what is arguably his best remix to date. Miles deeeeeeeeeep between Berlin and Detroit, between now, never, yesterday, tomorrow and the distant future, APPARAT drops the bomb with MOVING CLOSE, a medium-length moment of sheer perfection and, for all those of you who paid attention, a 9-minute tour de force and perfect re-enaction of the entire WARREN album, distilled down to an exuberant, opulent blend of science fiction, futuristic romance and a sheer wealth of bubbling ideas. Don’t think, just listen! APPARAT extricates all the hooks and let’s them burn, baby, burn. Waved good-bye to rave for good then, Sascha? Well, someone’s obviously still having sneaky fun on the dancefloor … lucky us! The flipside of it all: Markus Popp aka OVAL with his very own devil’s advocate take on so-called electronic music. After a cool 20 years and counting, Popp remains an unashamed lover of music and tweaks the meanderings of his artsy album O (Thrill Jockey) by means of jazz trio plus metal drummer to throw some infinitely romantic pearls to the plebeian swine. Returning to the same set-up and ensemble for his HELLO MOM remix, he turns the song’s themes into something refreshingly open, a dialogue filled with jazz, abstraction and plenty of courage. Thinking and playing outside the (cardboard) box, Popp’s version oozes with creaks, crackles and floating free jazz themes for the blind, but then again that’s exactly what WARREN SUICIDE tend to aim for – and their third studio album is well worth the trip. With their remixes, both OVAL and APPARAT breathe new life into this age-old marketing tool – and manage that precarious tightrope walk of translating a vocal album to the instrumental realm without losing any of the original’s stunning intensity.